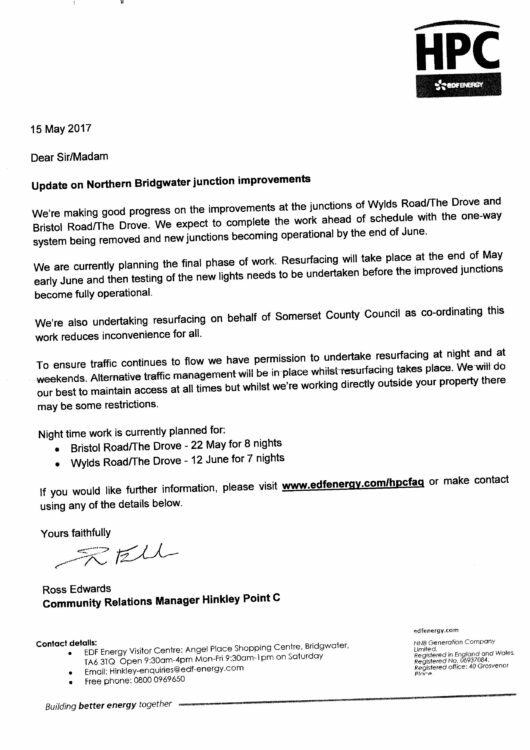 We have received an update, from EDF Energy, on the Northern Bridgwater Junction improvement roadworks which affect access to our hospital. The works continue, as expected, and we appreciate that this is causing disruption to some of our clients, but the good news is that they are ahead of schedule! The new junctions should now all be operational by the end of June. Wylds Rd/The Drove 12th June for 7 nights. We are conscious that this could affect access to our out-of-hours service and want to alert clients to allow as much time as you can for your journey. Thank you for your patience. For further information please click here or call us if you are worried about your appointment time.